In the first 60 days since Turtle Inn Resort joined Pack for a Purpose, their guests brought over 193 lbs/88 kilos of supplies for St.John Memorial and Seine Bight Primary School which serves 300 children. 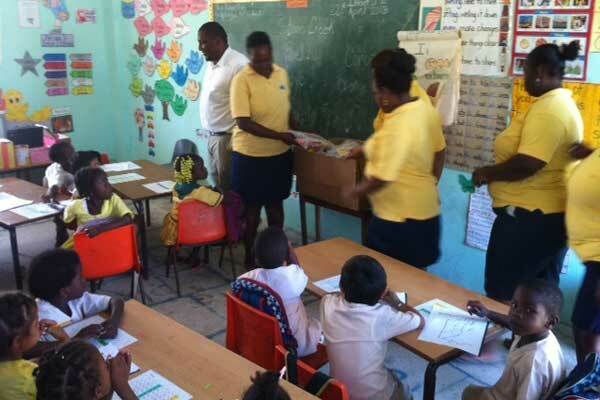 Francis Ford Coppola’s Turtle Inn Resort in Placencia, Belize joined Pack for a Purpose in March and has collected school supplies, pet supplies and clothing for the local community. Many of these items came along with a large group of Coppola’s own wine sales representatives who were at the resort for a strategy meeting. One of their wines is appropriately named: Votre Sante, which means; to your health/well being – many thanks to all those participating! Coppola Resorts are eco-friendly and involved with many sustainability efforts: water & energy conservations, community outreach, garden-to-table dining and each resort has its own Green Team headed by a conservation officer. Coppola Resorts and Turtle Inn are proud to be part of ‘Pack for a Purpose’ and will continue to bring awareness to its guests.